This week's featured article is Melisi, an Italian restaurant, bar and cafe very near Ruislip Station. It's a bright and welcoming place, even to our normally Italian-food avoidant reviewer, providing a decent sanger as well as the usual pizzas and pastas. The India Club article has been updated - a restuarant with a rich and interesting history, though unfortunately those two adjectives don't appear to apply to the food. 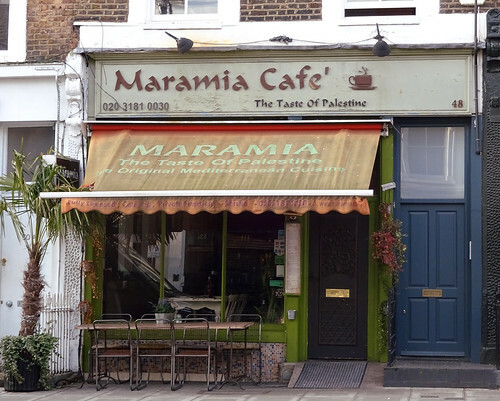 This week's featured article is Maramia Cafe, W10 5PR, a Palestinian restaurant in Maida Hill. The outside uses the internationally-recognised font of Middle Eastern eateries everywhere, and they've decorated the inside with lots of paintings and photos evoking the region too. It's been around a while: we have reviews from 2011 and 2018, both positive. Our two new articles are for K's Spice in Erith, a Nigerian restaurant for when you find yourselves in Erith. If you need to look up where that is on a map, then may I venture to suggest you may never find yourself in Erith. The other new article is The Black Bull, a pub in South Ruislip, trad but not bad. It has carpets! 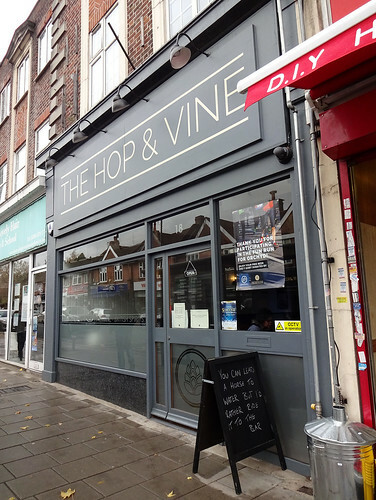 Updated articles are Itadaki Zen, the vegan Japanese place near Kings Cross (we suggest you go at lunchtime), and The Village Inn in Belvedere, which isn't all that far from Erith. Finally, one reported closure is of Chennai Dosa in Tooting. Hello and welcome back, it's been a few weeks! 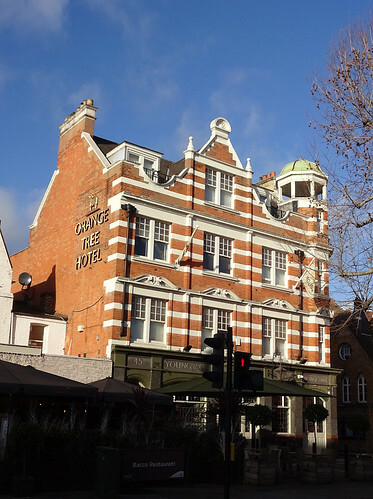 This month's featured article is The Orange Tree, TW9 2NQ, a pub and hotel near Richmond station. It's Young's-run so expect a decent pint of Ordinary. Also note that RGLers have been visiting long enough that there are comments pre-dating the smoking ban. Ah, those heady days. 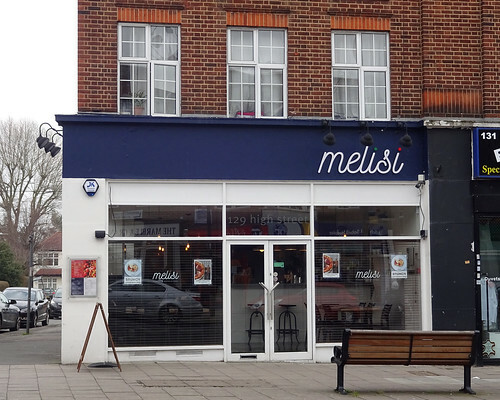 Our two new articles are: Melisi, an Italian bar, cafe and restaurant in Ruislip. A small place, but nice food, soft rock, and Italian service. I learned that the "s" is soft in Ruislip from Kat when I visited recently (a sibilant sound, like "Rye-slip", not a "z" sound as I'd been incorrectly doing for years). There's also Taste of Kerala, where in Croydon you too can sample a taste of, er, Kerala I'm guessing? Kake gets into some detail about exotic and interesting styles of rice cooking in the entry, so be sure to read up on that. Significant updates have been made to Nakhon Thai in E16's delightful Royal Docks area. Pretty nice, we conclude. Finally the reported permanent closure of The Bree Louise due to HS2 redevelopment of the area. Expect more transport links, but fewer cask ales and ciders served on gravity dispense. New featured article — Gaylord, W1W 7SJ. 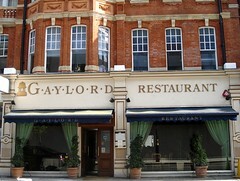 This week's featured article is Gaylord, W1W 7SJ, a long-established Indian restaurant near Oxford Street. 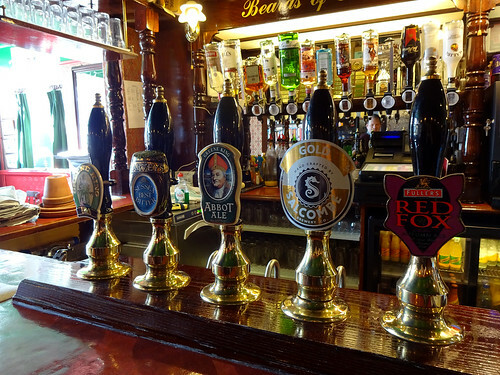 Recent additions to RGL include Old Red Lion, a real ale pub in Clerkenwell; Breakspear Arms, a Greene King pub in Ruislip; and the Crown, another real ale pub in Borough. One reported closure: Seki-Tei in Twickenham. kake - New featured article — Gaylord, W1W 7SJ.